Join us for a Mindfulness Based Stress Reduction (MBSR) Course, the ground-breaking and time-tested, scientifically researched program developed by Jon Kabat-Zinn in 1979 for the University of Massachusetts Medical School. This transformative course is suited for those coming to meditation for the first time or for experienced meditators who realize they have not yet integrated these practices fully into their lives. The teaching of MBSR at NY Insight is offered by seasoned MBSR teachers, most of whom are certified by the University of Massachusetts Center for Mindfulness. All of our teachers have decades of meditation practice and study and between them have taught well over 200 cycles of this seminal 8-Week curriculum. Research over the past 38 years indicates that a majority of people who complete this program report a greater ability to cope more effectively with short and long term stressful situations; an increased ability to relax, lasting decreases in physical and psychological symptoms; reduction in pain levels and enhanced ability to cope with chronic pain and most importantly a greater energy and enthusiasm for life. This class is in 8 weekly 2 ½ hour sessions. Between classes 5 and 7 there is a full day of practice on a weekend day. Each class includes various “formal” meditation practices, mindful movement and discussion/inquiry exploring the habits of the mind to discover how these patterns of reactivity become a major cause of stress. Class size ranges from 15 – 30 participants. The course is experiential: by paying attention to what arises in daily and class practice, and through exploring the challenges that arise and how these are met, a supportive and safe container is created. Participants are supported by recorded guided meditations and are expected to practice 30-45 minutes of formal meditation daily as well as various informal practices. Please choose your rate mindfully and be as generous as possible so that NYI can continue to offer financial assistance to those in need. It is important when considering this class to make sure your schedule allows you to attend all 8 sessions, though if a class is missed there are usually concurrent classes which allow for make-up sessions. We have limited MBSR financial assistance available. Please email registration@nyimc.org for more information. Please note that all those who wish to participate in the course must watch this orientation video and then fill out this Orientation questionnaire. The instructor will be in touch with you before the course begins to schedule a brief phone conversation. Scroll further below to RSVP for one of the orientations. 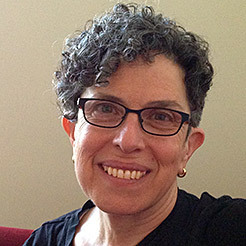 Elaine Retholtz has been studying and practicing the Dharma since 1988. In addition to teaching Dharma at New York Insight, she is a certified Mindfulness Based Stress Reduction teacher and has a deep interest in helping students integrate mindfulness practice into daily life. Elaine is committed to deepening her own understanding of issues of diversity and the way racial conditioning in the United States affects all of us — both as individuals and in relationship to the institutions we are a part of, including New York Insight. She’s been involved in New York Insight’s diversity efforts for many years, serving on the diversity committee, and working with others to create spaces – for diverse groups of practitioners as well as for white practitioners meeting separately – to explore these issues within a Dharma frame.